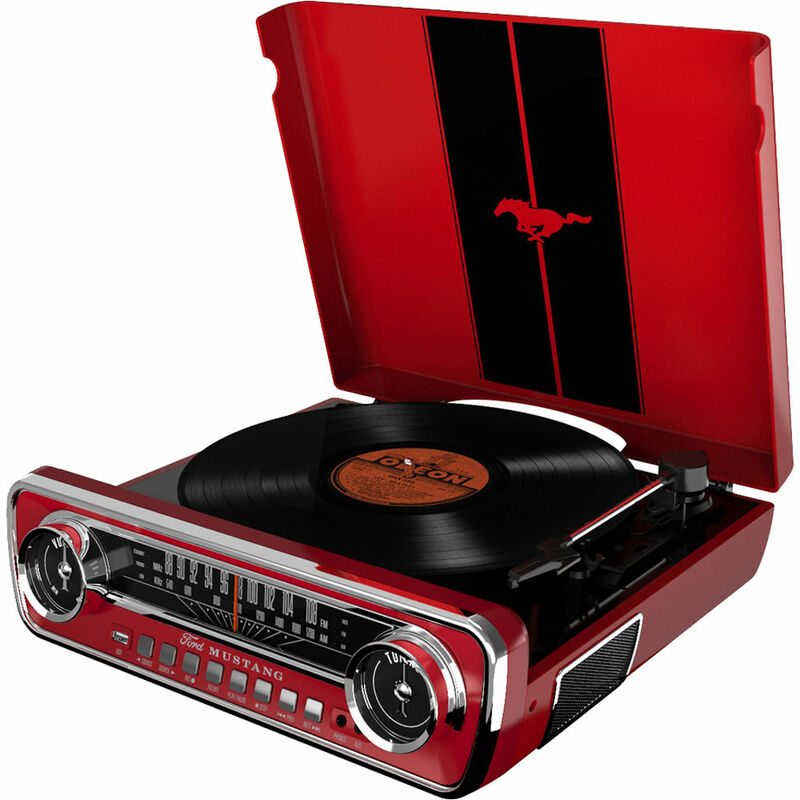 Enjoy your 33 1/3, 45, and 78 rpm records with the red 1965 Ford Mustang-inspired ION Audio Mustang LP Turntable. It can function as a belt-driven turntable, AM/FM radio, or a device through which you can play music stored on a USB thumb drive or other portable device. You can also record your vinyl collection to an optional USB drive. Note: 78 rpm records require a different cartridge than the one included; please see the manufacturer's website for more information. Box Dimensions (LxWxH) 17.0 x 16.5 x 6.25"
Mustang LP Stereo Turntable (Red) is rated 5.0 out of 5 by 1.